We have elusive proof of close contact between men and unicorns in a legendary Mapuche beast, the Camahueto, which in Mapudungun means “very bad” (cadme = very and hueto = bad). According to the Huilliche natives of Chiloé it is a very powerful unicorn the size of a yearling calf with a single silver horn on its head. Its color is “mari”, the blue-green color of the sea. See its image in our previous post on Camahueto. A one year old calf is a big critter and it can weigh between 300 and 500 kg (660 – 1,100 lb.) and have a shoulder height of 122 cm (50 in.). Camahueto is born in rivers, where its bones are sometimes found, and although at first it is the quite small, it quickly grows stronger and bigger. Once it reaches adulthood it rushes towards the sea where with its strong claws and sharp teeth it destroys ships and feeds not only on fish, but also on human flesh. Their riverine habitat is similar to that of the Toxodontidae. 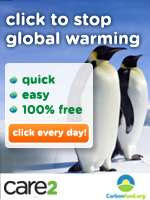 However its sea-going habits do not fit in correctly with what we know about these animals. Its carnivorous diet and claws are also very different from that of the calm grazer toxodonts. According to Latcham the Camahueto was also known as a “sea horse”; a creature that neighed strongly, foamed at its mouth and being very large, could fit up to twelve native wizards on its back. In his opinion, this creature was the native’s distorted view of a sea elephant (Macrorhinus leoninus) which was once abundant in Chile but had been hunted to extinction. The largest member of the seal family, its long snout -40 cm (16 in.) in length- could have seemed like a horn to Huilliche; its imposing size -up to 5 m (16,4 ft.) long and 4.000 kg (8,800 lb. )- and aggressive behavior in males also resemble the fierceness and enormity of the Camahueto. 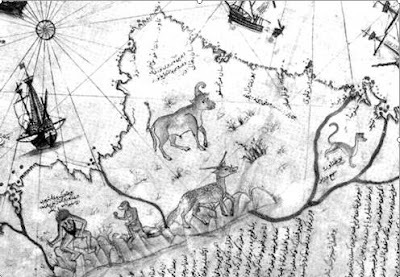 There is evidence of unicorns in an early map of Patagonia dating to six years before Magellan’s official discovery; it was drawn in 1513 by Turkish admiral and cartographer Piri Reis who compiled it based on information garnered from Portuguese sailors. See my other posts on Piri Reis' map Dog Headed PatagonsMap and Giant snakes. The South American coast though distorted is shown to a latitude beyond 50°S; a fact that, though disputed by some scholars, is taken as proof that Magellan was not the first European to sail along the Patagonian coast and that a covert Portuguese expedition had been there before him. Detail of Piri Reis World Map (1513) showing: South America. 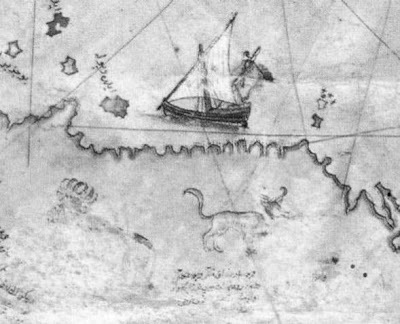 Detail of Piri Reis World Map (1513) showing: Unicorn (top center), and puma (right). Unknown animal bottom center. 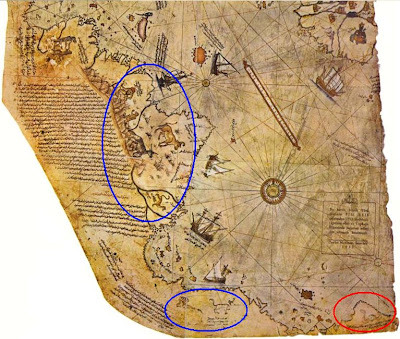 Note: The map also shows to man-like beings, a “wild man” and an “ape” (bottom left); but we are not sure if they belong to the Patagonian region or further north. If Patagonian, is the ape a Fuegian monkey? and the “wild man” (a Hanush, Hashi, Mwono or Chilludo?) (see my post on Patagonian bigfoot and Fuegian monkey). There is a long necked puma (see above). Beside it is the caption “Bu canaavara Sami derler” which Argentine author, Federico Kirbus in his book Enigmas, Misterios y Secretos De América translates as “They call this beast Sami” and then states that Sami is the phonetical equivalent of the animal’s current name: llama. This llama (Lama glama) is a South American cud-chewing camelid, a mammal related to camels, but smaller and without humps on its back. We believe that Kirbus is mistaken because there are no llamas in Patagonia, only a distant ancestor, the guanaco; furthermore their short stubby tails are very different from Sami’s long flexible feline-looking tail. It is very likely that Sami is a puma. Another part of the map shows some well known Patagonian animals such as deer -maybe the Pampas deer (Ozotoceros bezoarticus) or the huemul- that are described as “six-horned oxen” (See the image below), a many pointed stag perhaps. Detail of Piri Reis World Map (1513). What is most interesting is a “one horned” bull-shaped unicorn that is described in a marginal note as “oxen with one horn”. Though it closely resembles the Camahueto it cannot be based on this myth because the map was drawn forty five years before the Spaniards’ first contact with the Huilliche at Chiloé. However not all agree with this interpretation; some authors believe it to be a “Bonnacon”; a mythical Asian being that resembled a bison and emitted murderously foul vapors through its rear; they could sear up to 1,5 hectares (3 acres) with their farts. It also had harmless curled horns that pointed backward. Yet the beast on Piri Reis’ map has only one horn, not two like the Bonnacon, and it curves forward. There are two other strange animals drawn on the map, which do not correspond to any known Patagonian beasts. One which has a spotted hide with two long horns above its short ears, a fox-like tail, and two tusks like those of a wild boar. Some have identified it with a llama, which is very unlikely since llamas lack both horns, tusks, spots or fox tails. Others believe that it is a mediaeval European mythical being, the Yale. The other unknown animal, next to the six-horned beast, is described as “white-haired monsters [sic]” and drawn with a long tail, deer-like head and body, slender legs, and two long curved horns. We do not know what it is. Perhaps they are the strange horned beast that the Selk’nam described to Lucas Bridges and which we will discuss in a future post. This map clearly places unicorns close to the Patagonian Andes in the early 1500s. 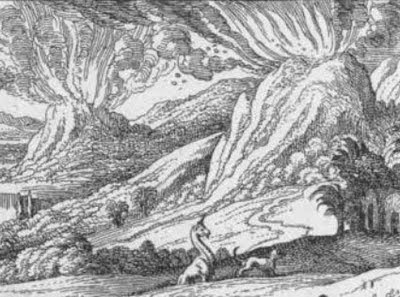 Over a century later (1630) an engraving by Matthaeus Merian,the New World Landscape, depicts several animals unique to South America and it shows a weird single-horned creature that resembles a giraffe or a long-necked guanaco. Whether it was a Patagonian unicorn, we do not know. Since then the beast was not reported by any other explorers; it simply vanished. Detail of a New World landscape showing a unicorn. From: . De Bry, J., (1630). Les grands voyages. Hanau. Part xiv, 55. 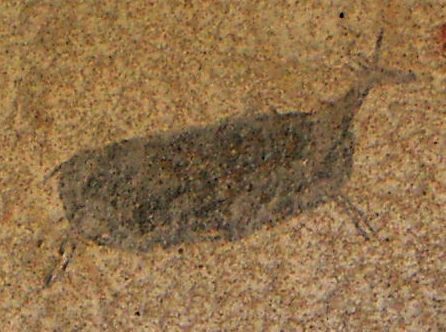 Perhaps Piri Reis’ informants had seen unicorns in Patagonia, maybe the last of a relictual group of gradually vanishing Toxodontidae, which have since become extinct. However, the true answer may lie in a genetic quirk of deer. 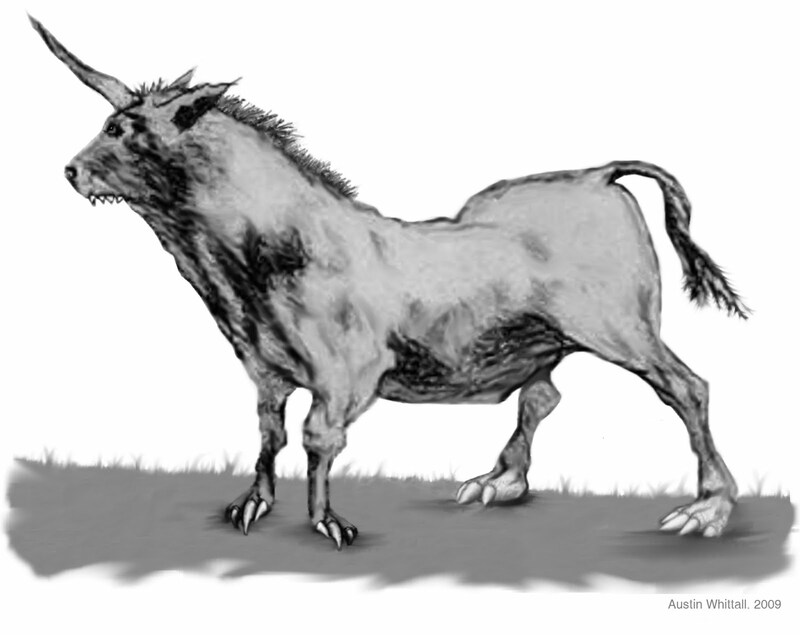 This makes it possible that an anomalous one-antlered Patagonian deer may have inspired the unicorn myth. The huemul (Hippocamelus bisulcus) is a stocky Patagonian deer that is about 1 meter (3.3 feet) tall and 1,65 m (5.4 ft.) long, and weighs between 40 and 100 kg. (88 - 220 lb.). 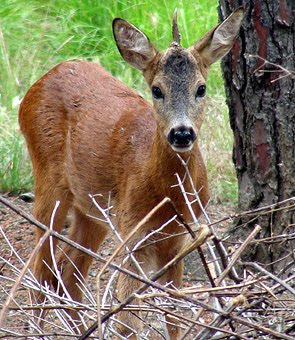 Like all deer, males have antlers about 30 cm (1 ft.) long. Interestingly they escape persistent pursuers by swimming into lakes. They can swim with ease and are indeed an “amphibious” creature like the Camahueto. Its habitat ranged from 34°S to the Strait of Magellan and from the Pacific Ocean to the edge of the steppe. But now, its limited and endangered population of less than 1.000 individuals lives in isolated pockets within the Chilean and Argentine Andean mountain forests. Nowadays they are not seen by the sea nor on the steppe yet they may have at one time frequented the coast where they could have been seen by Piri Reis’ Portuguese sources: Prichard said that they were once spotted at the mouth of Deseado River on the Atlantic sea coast (47°45’ S, 65°53’ W). Though there have not been any reports of “one horned” huemul, it is quite understandable due to the creature’s small population and endangered status. In the past, being more abundant, they could have inspired the formidable Camahueto and, must surely be the most reasonable explanation to the Patagonian unicorn myth. The unicorn depicted in the rock-art at Cueva de las Manos, seems to uphold this idea, because the animal could be a Huemul with only one horn. Go back to Part 1 of Patagonian Unicorns. Pérez Tello, S., (2004). Chiloé: Una isla de inmigración. El Carrete de la Sera; Periódico de la Comunidad Chilena. N° 19. 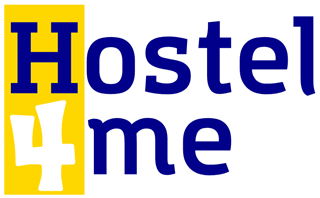 03-2004. Online. Schwarzenberg, J., and Mutizábal, A., (1926). Monografía geográfica e histórica del Archipiélago de Chiloé. Santiago. Ed. Nascimiento. pp. 87. Keller, C., (1972). Mitos y leyendas de Chile. Santiago: Jerónimo de Vivar. pp. 38. Dutch, S., (1997). The Piri Reis Map. Kirbus, F., (1976). Enigmas, misterios y secretos de América… B. Aires: Editorial La Barca Gráfica. De Bry, T., (1630). [Engraving] Les grands voyages. Hanau. Part xiv, 55. Falconi, M., (2008). AP Single-horned 'Unicorn' deer found in Italy.